intervened in the Inter-bank Foreign Exchange Market with the total sum of $262,500,000. 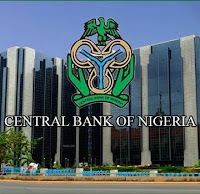 Data received from the CBN on Friday revealed that the sum was in favour of the agricultural, airlines, petroleum products, raw materials and machinery sectors. Acting Director in charge of Corporate Communications at the Bank, Mr Isaac Okorafor confirmed the figures, noting that the released funds remained targeted at boosting production and trade in addition to sustaining liquidity in the market. Mr Okorafor also reiterated that the Bank’s intervention had effectively checked the activities of speculators, assuring that the Bank would continue to monitor, thoroughly, the activities of authorised dealers in order to checkmate possible sharp practices.